Alexandre Lacazette: How do we assess the first six months? Alexandre Lacazette was brought from Lyon to Arsenal to be the spearhead for their future attack. After some stellar years in France where he amassed 100 goals in 203 appearances, there was hope and optimism that he would be the striker that Arsenal had been crying out for. The Gunners often had the creative midfielders to create the chances but were lacking the lethal striker to put them away and propel them to the upper echelon of the league. However, after a promising start to his life in the Premier League, he has tailed off and has been relegated to the bench. Surely sold on the idea of playing with Alexis Sanchez and Mesut Ozil, Lacazette started his first few games with a bounce in his step and some sharp link up play. In the few games that the trio started together, the results were magical and the team was firing on all cylinders. But the times that the three shared the pitch together was few and far between and rather than Ozil and Alexis providing support, he was left with Welbeck and Iwobi. Not to be disrespectful, but those two aren’t even in the stratosphere of Ozil and Alexis. But after such a bright start, the Frenchman’s form has not only taken a turn for the worse but has completely nosedived. A pathetic return of 1 goal in his last 13 games has found Lacazette on the bench for the recent brought in Pierre-Emerick Aubameyang. But the problems in his game stem way before the acquisitions in the January transfer window. In the majority of the games that Lacazette has started for the club, he rarely finishes. Often if the game is in the balance, Wenger will turn to Olivier Giroud to make the difference and sacrifice Lacazette in doing so. Brought in to be the main man but yet not given the confidence to bring the team home in tight situations looks to have zapped Lacazette of his confidence and now looks a shell of himself when he plays. Now, all this isn’t to excuse Lacazette for his individual failures because to me, he just hasn’t been good enough. You look at all the other forwards in the league that are thriving thus far such as Kane, Aguero and Salah, there is a hunger and desire to get in positions where scoring becomes a much easier task. However, in the current case of Lacazette, he tends to drift out wide far too often and when the ball comes into areas where he should be, you can find him on the edge of the box or on one of the flanks. Whether this is a coaching decision, I have no clue. But, Lacazette is now faced with a dilemma in which he would have never envisioned when he arrived. If you would have told Lacazette that Giroud would be sold, the last place he would have expected to find himself is the substitute’s bench. However, as previously mentioned, Aubameyang has been brought in and Lacazette was immediately demoted to the bench and it’s hard to suggest that it wasn’t warranted. Maybe he wasn’t fully acclimatised to the rigours of the Premier League or maybe he hit a brick wall having not had his usual winter break, but his performances didn’t warrant him being in the starting line-up and he has an uphill battle to regain that position. So has his time in London been a success so far, to me, it hasn’t. The signs are there for hope to still exist that Lacazette will justify the money that has been spent on him, but for now, it doesn’t appear he will be starting games anytime soon. 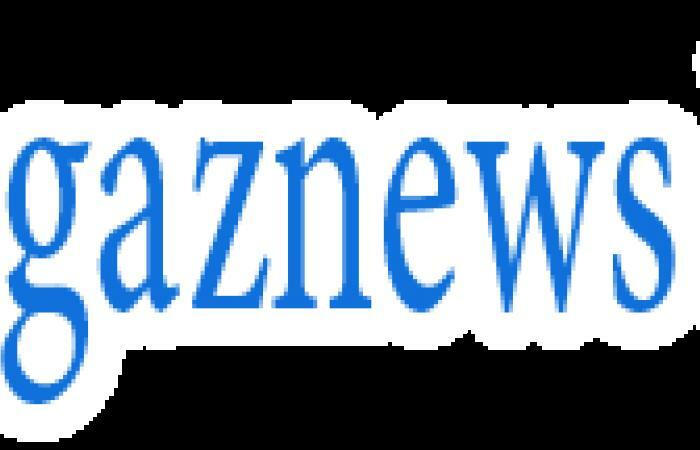 It is now up to Wenger and the other coaches to get Lacazette refocused on his game and instill him with the confidence he showed in his days in France. But with the current state of Wenger’s coaching, I’m pessimistic about that actually happening. How Will Pierre-Emerick Aubameyang fit into Arsenal’s Starting XI? It took some time, but Arsenal have finally completed the signing of Pierre-Emerick Aubameyang from Borussia Dortmund for a club record £56 million fee. The 28-year-old joins the Gunners with a reputation as one of the deadliest forwards in Europe, having scored a whopping 141 goals in all competitions for Dortmund since signing in 2013. Aubameyang’s goalscoring prowess and bonafide star status makes him an ideal replacement for Alexis Sanchez, who joined Manchester United last week in a swap deal that saw Henrikh Mkhitaryan sign for Arsenal. In replacing his most productive player with two attackers that previously combined for 56 goal contributions in a single league season (see Borussia Dortmund 2015-16), Arsene Wenger has come out of a sticky situation with some credit. Now, Le Professeur must figure out how to fit his two shiny new signings into a lineup that already contains Mesut Özil and previous club record signing, Alexandre Lacazette. Here are a few different tactical setups Wenger might go for as he aims to please his star players and maximize Arsenal’s attacking output. A formation that is as exciting as it is unlikely for Wenger to try, the 4-2-2-2 would see Arsenal essentially field a front four of their attacking talent. Henrikh Mkhitaryan and Mesut Özil take up free roles on either wing, cutting inside to combine with the two forwards while the wing-backs overlap to provide width. Although he hasn’t been as prolific as fans anticipated, Alexandre Lacazette has proven that he is more than just a poacher, showing excellent holdup play and ability to keep the ball in tight areas around the box. The Frenchman plays slightly behind Pierre-Emerick Aubameyang, who thrives as the team’s target man and would benefit from another forward to keep defenders occupied. 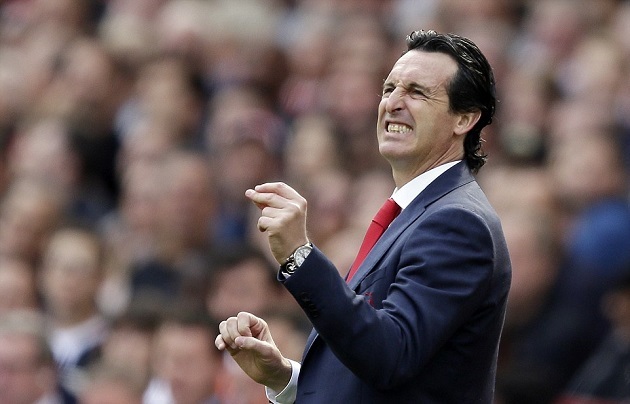 The overwhelming amount of attacking impetus could potentially unbalance Arsenal’s shape, meaning the midfield pairing would need to be positionally disciplined and defensively aware. Mohammed Elneny may be Arsenal’s least exciting midfielder, but he could be the key to this formation succeeding. The Egyptian international excelled in a defensive midfield role in Arsenal’s Carabao Cup semifinal win over Chelsea, and would take up the same responsibilities in a 4-2-2-2. One of Jack Wilshere, Aaron Ramsey, or Granit Xhaka would partner him in the middle of the park to keep things ticking and link midfield to attack. If the Gunners are particularly struggling to retain possession in midfield, Mesut Özil could tuck in from the right side to work some of his German magic. While the 4-2-2-2 may appear to be top-heavy on paper, it could get the most out of Arsenal’s attackers if executed properly. Arsene Wenger is unlikely to revert to what is essentially a modified 4-4-2, but his recent tactical versatility could mean we’re in for a surprise. Arsene Wenger might not have to switch from his beloved 4-3-3 to fit his two new signings into the starting lineup. Again, Mkhitaryan plays on the left wing, the position Thomas Tuchel used him in during his remarkable 2015-16 campaign with Dortmund. The Armenian notched up 21 goals and 26 assists in all competitions that season, and Wenger will hope he can regain that form by playing in his favored position in a team that suits his playing style. There is one notable difference between this setup and a classic 4-3-3, and that’s the right wing position. Here, Aubameyang will be less of a traditional right winger and more of a right-sided shadow striker, making runs off of Lacazette and drifting into dangerous positions. As he will provide little support for Hector Bellerin on the right flank, Mohammed Elneny (or the equally mobile Ainsley Maitland-Niles) is again key as he will be tasked with protecting the right-back. In theory, this formation could work, but playing your new record-signing striker on the wing—albeit not in a traditional winger’s role—could definitely be an issue. That said, it wouldn’t be unlike Arsene Wenger to stick to his system and ask players to adjust their positions to suit it—watch this space. For the first time in basically forever, Arsene Wenger is showing a willingness to switch his formation on a match-by-match basis based on the opposition. At long last, Arsenal (sort of) does tactics! Earlier this season Wenger tended to play a 3-4-3, especially when he thought his side needed extra defensive support which, in the case of Arsenal, is just about every match. Recently, however, he has opted for his trusty 4-3-3—but the need to accommodate two forwards could see a three-at-the-back formation used more regularly. Although the prospect of Aubameyang, Mkhitaryan, Lacazette, and Özil in the same lineup is truly tantalizing, Arsene Wenger faces a genuine challenge in fitting all four of them into a functional starting eleven. It’s a good headache to have, and if the Frenchman gets it right he may just have the scariest attack in the Premier League. In what’s turning out to be an increasingly grim season, things might be a little less depressing if the club is at least fun to watch. After all, isn’t that the whole point? 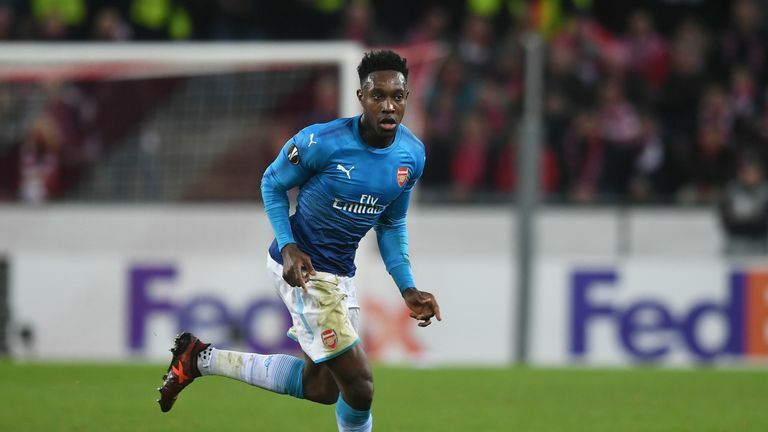 DANNY WELBECK: CAN HE FIND A WAY BACK INTO THE STARTING XI? So, here we are again with Danny Welbeck. It appears that the same narrative persists with the Englishman since he made his move to the Emirates. He manages to break into the starting line-up and put together a string of fine performances, slowly changing minds that he can become a permanent part of the attacking unit and then disaster strikes in the form of injury. For Welbeck, he doesn’t get those injuries that only limit him for weeks, he will be gone for such a length of time that his existence on the squad can sometimes be forgotten. Welbeck is now faced with the seemingly impossible task of forcing his way back into a starting three that boasts stellar names like Mesut Ozil, Alexis Sanchez and Alexandre Lacazette. Since the signing of Lacazette was announced, Arsenal fans have been clamouring for the trio to start together and they have been granted their wish in recent weeks. 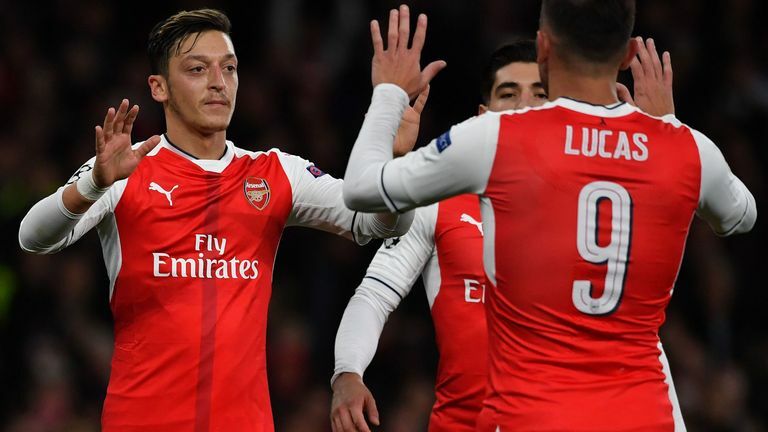 In the three games that they have started together, Arsenal have recorded victories in all of the games including the impressive win in the North London derby where they each made a contribution with Ozil and Lacazette registering an assists and Alexis scoring the second goal. However, Welbeck’s form at the beginning of the season shouldn’t be so easily discounted when discussing his role in the squad. Early in the season, he was forming a nice understanding down the left with Kolasinac and his fellow strike partner that yielded some positive results with him scoring four goals before his untimely injury. Now, to be brutally honest, when talking about the aforementioned trio, Welbeck doesn’t come close to them in terms of quality but his unpredictability and his uncanny nature to find himself in scoring positions keeps him in Wenger’s favour. One thing that the Englishman can never be accused of is lacking effort. But that criticism has been levelled towards Ozil and Sanchez and recent months and deservingly so. With their contract situation still remaining unresolved and both of them being prone to having emotional mood swings on the pitch, Welbeck could easily find his name back in the starting line-up if their form and subsequently their play begins to dip. There is no doubt that Wenger has put trust in Welbeck and won’t hesitate to put him in the line-up when we will inevitably need a spark from the bench. Welbeck’s past does indicate that he will never be a 20+ a season player because he can’t stay fit enough for the whole campaign and quite frankly, he hasn’t shown the finishing ability. But there is no doubt that he can contribute 10-15 goals across all competitions and still be a valuable asset to the Arsenal squad. Finally, Welbeck falls under the same bracket as his fellow Englishman, Jack Wilshere. Naturally, you would want them on the team because they have the ability to make a difference but there are only so many times that Wenger can play them before an injury occurs. Both will be looking to get back into the starting XI as soon as possible and with a World Cup coming up in June, both need to grab any opportunity they are given with both hands. New season, same Arsenal. The Gunners have added a defender in Sead Kolasinac and had an entire summer to straighten things out on the training pitch, but four goals conceded in the opening two games suggests the defense is as porous as ever. Here are five steps Arsene Wenger and his side can take to patch up the leaky backline. Wrong. Arsene Wenger’s latest defensive stunt is the refusal to play center-backs, instead puzzlingly choosing to start left-backs Nacho Monreal and Sead Kolasinac at center-back for Arsenal’s first two Premier League fixtures. It’s not as if the squad has been ravaged by injury. Per Mertesacker, the club captain, was fit to play against Stoke last weekend yet remained on the bench. Rob Holding was dropped from the squad altogether after a shaky opening day performance against Leicester, as was Calum Chambers, who appears to be out of favor despite an impressive loan spell with Middlesborough last season. There’s usually some sort of rhyme or reason to Arsene Wenger’s team selections, but it’s difficult to understand the manager’s thinking when he plays a back five that consists of four players out of position. Nacho Monreal works quite well as the left center-back in a back three, but is evidently uncomfortable as the centermost one. Sead Kolasinac, the left-back in the 2016-17 Bundesliga Team of the Season, was presumably signed to play in that position—so why play him at center-back while Hector Bellerin, a right-back, plays at left wing-back? At the moment, the defense feels topsy-turvy when it doesn’t have to be. The first step to fixing Arsenal’s leaky backline is really quite simple. Arsenal’s defense is crying out for leadership and organization—two qualities that Per Mertesacker embodies. Now in his final season as a professional footballer before taking on a role as Arsenal’s academy manager next year, he deserves the chance to be a part of the first team setup once again. Although he’s 32, Mertesacker’s game has never relied on pace—if anything, age adds to his expertise in reading the game and marshaling fellow teammates. His performance for the ages in the FA Cup final against Chelsea reaffirmed the German’s quality. Not only was Mertesacker stellar, but Rob Holding and Nacho Monreal fed off of his experience and solidity, resulting in one of Arsenal’s best defensive displays in recent memory. The success of the 3-4-2-1 formation relies on the centermost center-back’s capability. If Arsene Wenger allows his club captain to anchor the back three, he might find the rest of the defense steadier as a result. The sole goal that Arsenal conceded against Stoke last weekend was as much the fault of the defense as it was the midfield. With Aaron Ramsey the furthest man forward, Granit Xhaka carelessly lost the ball before failing in an attempt to win it back, leaving Arsenal’s backline completely exposed. The defense should have dealt with the ensuing attack, but they wouldn’t have been in such a scenario in the first place if there was a stable midfield in front of them. 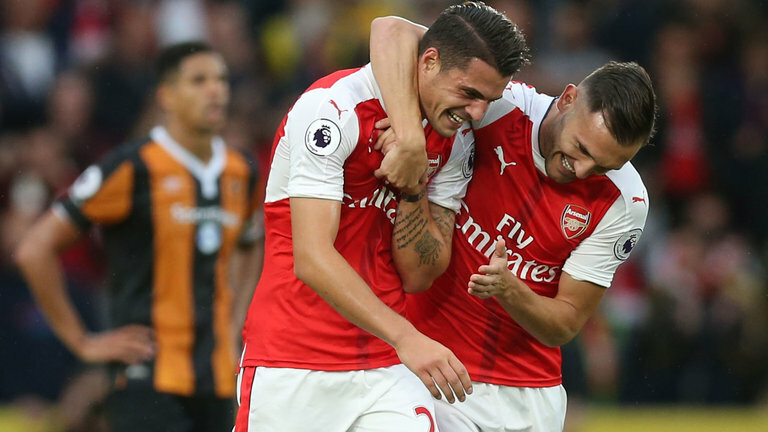 The partnership between Xhaka and Ramsey has a lot of promise, but it also contains some inherent flaws. While Ramsey’s forays forward are the best aspect of his game, they often leave Xhaka in situations he isn’t comfortable dealing with, putting even more pressure on the defense. Arsene Wenger needs to either coach Xhaka and Ramsey to have more balance and understanding in their partnership, or look elsewhere bring stability to his midfield—whether it be internal or external. 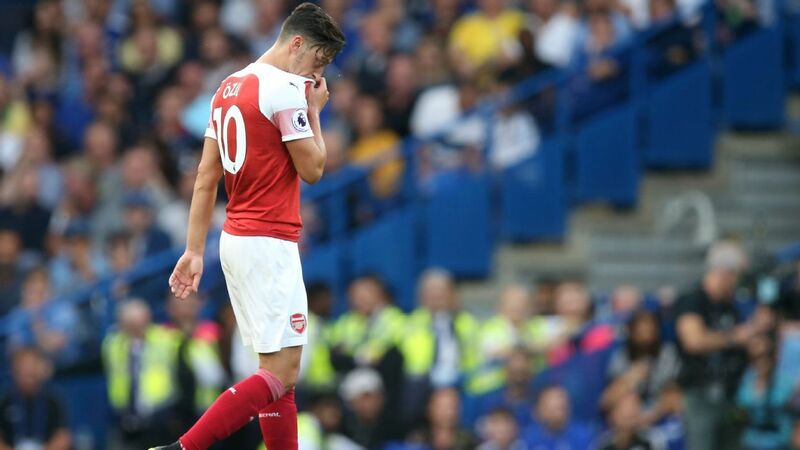 Individual errors have played a big part in the Gunners’ recent defensive shortcomings, but the system they’re set up in certainly doesn’t help. Arsenal’s backline looks like a group of strangers figuring things out as they go rather than a cohesive unit, and much of that is a result of the coaching and work done on the training ground. When Steve Bould was appointed as Arsene Wenger’s assistant manager in 2012, fans expected the former Arsenal stalwart to inject some of his own toughness and strength into the defense. The side’s defending has improved in spells here and there, but the “Bould effect” has not been what was initially imagined. Arsenal could use another coach to bring fresh ideas and improved organization to a backline evidently lacking guidance. It may sound like a simple solution, but Arsenal are in a precarious situation with their current center-backs. Per Mertesacker is in his final year while Laurent Koscielny and his dodgy achilles’ are 32 next month, leaving Rob Holding, Shkodran Mustafi, and Calum Chambers as the club’s remaining central defenders. On paper, Arsenal have plenty of center-backs. The reality, however, is that there will be a massive gap to fill once the club’s senior defenders begin to age. Are Holding (21), Mustafi (25), and Chambers (22) prepared to fill that gap? Perhaps one day, but in the meantime Arsenal could use a player with sufficient experience and defensive nous—say, Virgil Van Dijk—to be the lynchpin of the backline in the not-so-distant future. The next three league games bring us Stoke at home, Everton away just 3 days later followed by Man City away on the weekend. Three massive tests following our Champions League qualification surprise of finishing top of the group. Thank you kindly Ludogorets! How on earth did that happen???? How on earth? Though obviously we’ll take it. I digress…Stoke are now playing some great football (weird I know) and scoring some good goals, however have also retained the darker side of their game through the likes of Charlie Adam and Ryan Shawcross etc etc. Thankfully we’re playing them at home where we traditionally do well against them so a win here is essential if we are to stay in touch at the top come Christmas. This is quickly followed up with what I can only describe as an unpredictable Everton side. They drew against Man Utd albeit a little fortuitously, and hilariously I might add, but they are capable of great football as well as frustration. Lately it’s been more frustration than free flowing football, but Koeman for some reason loves playing Wenger and really loves stopping teams playing football so expect a Gareth Barry led monstrosity on Tuesday evening. Finally we play Man City away who are more than capable of blowing us away with the attacking depth at their disposal. Yes they’ll be missing Aguero and Fernandinho, however they still have the likes of Silva, De Bruyne, Iheanacho, Sterling, Nolito and the newly motivated Yaya Toure available. Plenty to plan for and be worried about. The fact is, with the games that lie in wait, we really must take a minimum of 5 points to not lose too much ground and 7 points if we are to stay in touch with the leading pack. If we manage to get 4 points it wouldn’t be the end of the world but would leave us needing a really strong Christmas period and even better January – the fixtures ‘look’ kind, however fatigue is something that brings out the worst in our performances so it could get messy very quickly. The key here is managing our squad appropriately. The midfield will be the factor that gets us through this tricky period and I feel like Wenger has now had enough time to know which of the options he can be comfortable with for each scenario. We’ve played a variety of different teams now that play both defensive, counter attack, possession based and park the bus football so he will have seen which combinations work best for which scenarios. A West Brom at home seems like one for a Ramsey & Xhaka partnership as opposed to Bournemouth away where winning the ball back will be vital so Coquelin comes back into the fore. Options. For once it’s a luxury that we can afford. The final factor in all of this will be our front man/men. I feel as though everywhere else across the pitch we will be able to give minutes to most and keep them content. Perez in his first season has seen minimal game time mostly due to injury and Xhaka is taking his time to bed in so they won’t be too disheartened. The wide men will be in and out of the team simply because a young Iwobi cannot play every week and The Ox and Theo seem to need to continually prove themselves so there will be game time aplenty. It’s how to manage the Alexis vs Giroud situation that will cause Wenger a headache (a nice one to have). Alexis wants to and will play every week, Giroud looks a frustrated figure on the sidelines and keeping him happy will absolutely be required. He will be played from the start in some games, where Alexis will shift to the left side, however it’s not likely that he’ll play in the big games. Yes his future will be something he is thinking about, but that will be in the summer rather than January so its a case of playing him in games tactically. I have a feeling he will play alongside Alexis for the home games vs West Brom and Palace rather than Everton and Man City for example. Wenger is a master of handling his players over the course of the season so he’ll need to pull out all the stops to manage the big man to keep our season on course, Giroud is the final piece of our intricate fixture puzzle.